When David Hafler sold his Hafler and Acoustat companies to in-car audio manufacturer Rockford-Fosgate a year or so back, things went quiet for a while as the new owners made arrangements to transfer production of both brands to their Arizona facility and took stock of where their new acquisitions stood in the marketplace. Then, at the 1989 CES in Las Vegas, the company made a reasonably sized splash with the first in a new range of Hafler products intended to lift the brand out of the hobbyist-oriented identity it had, perhaps inadvertently, adopted in the last few years. This review should have appeared more than a few months ago. 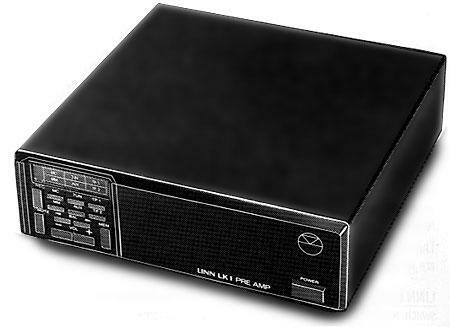 When I reviewed Linn's Troika cartridge back in the Fall of 1987, in Vol.10 No.6, Audiophile Systems also supplied me with a sample of the Linn LK1 preamplifier and the LK2 power amplifier, which I had intended to review in the due course of things. As it transpired, however, I was less than impressed with the LK2, finding, as did Alvin Gold back in Vol.9 No.2, that while it had a somewhat laid-back balance, it also suffered a pervasive "gray" coloration, which dried out recorded ambience and obscured fine detail. I'm old enough to remember my family's first table radio that was made out of plastic. It was cream-colored, and it sat on the rearmost edge of our kitchen table: a less-than-timeless design in its own right, destined to be discarded at the end of one era and treasured again at the dawn of another, for more or less the same reason. But in 1958, a cream-colored plastic radio looked fresh, clean, and right, and its cheap wooden predecessor seemed dowdy and sad by comparison. That would all change in later years, of course. Then it would all change again. A friend once described my audio ethos as "records, tubes, big amplifiers, and really big speakers"—I always picked warmth and musicality over antiseptic neutrality, even if the former came with a few extra colors in the tonal palette. Had I listed my criteria for an audio component, transparency wouldn't have been near the top, and might not have been listed at all. 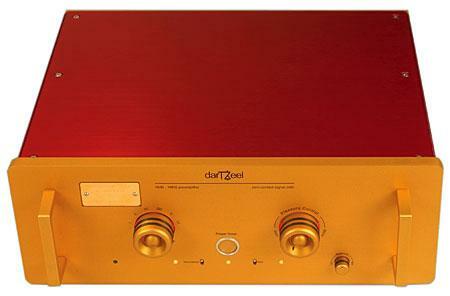 With the introduction of the NHB-108 stereo amplifier, Swiss-based darTZeel quickly established a reputation for pristine, hand-built quality, fanciful industrial design, and elegant circuitry—all accompanied by a healthy jolt of sticker shock. (See John Marks' coverage in his September 2003 "Fifth Element" column, followed by Wes Phillips' full review in April 2005 .) 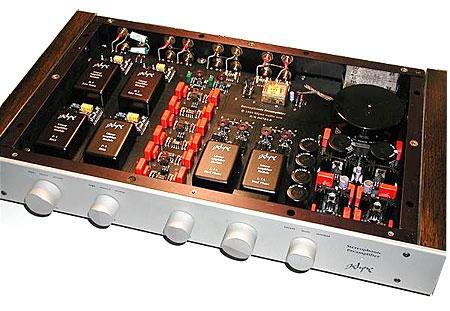 The 100Wpc (into 8 ohms) NHB-108 costs more than $18,000. 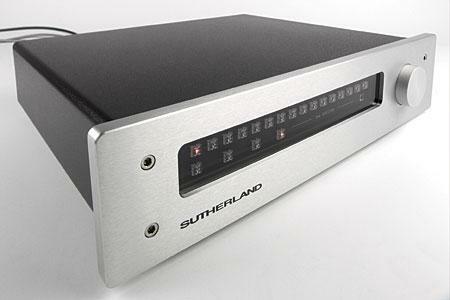 A lot of change for not a lot of power, but the reviews were unanimous in praising the amp's exceptional sound quality. Talk about going from the ridiculous to the sublime. 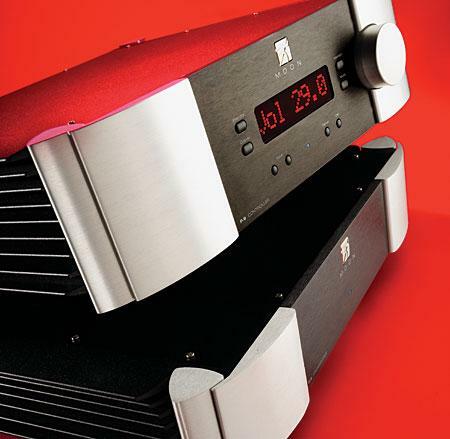 One day I'm reviewing the $139 Sonic Impact Super T power amplifier, and the next day Krell Industries delivers their $10,000 Evolution 505 SACD/CD player, $15,000 Evolution 202 preamplifier, and their $30,000/pair Evolution 600 monoblocks. 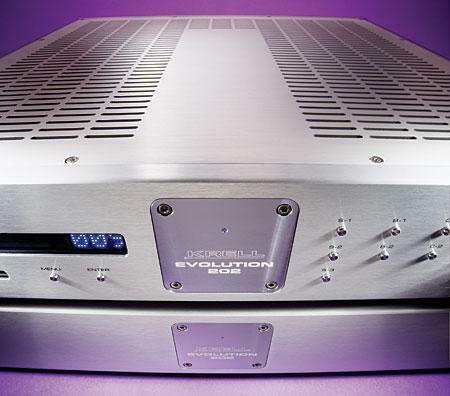 The P-8 ($11,000) is the second of Simaudio's Moon Evolution series that has passed through my system, following on the heels of the Moon Evolution W-8 power amplifier, which I reviewed in March 2006. Fortunately, the P-8's arrival preceded the W-8's departure, so I was able to use them together as well as with other components. I've had the pleasure of using The Direct Line Stage Line Stage (originally called the Director) from Ron Sutherland for the past few months. 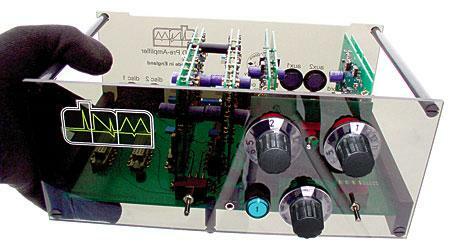 This active line-stage preamp (it has no phono section) is available from Acoustic Sounds for $3000.